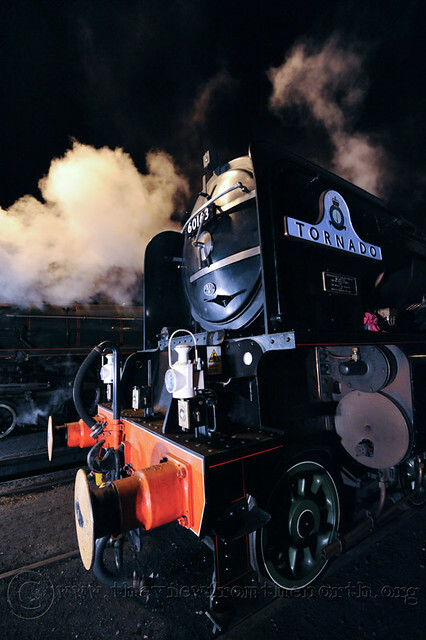 Tornado must be one of the most written about steam locomotives in the country, and one of the best known. With it’s appearance on Top Gear and massive media coverage, it has single handedly brought steam railways into the public conscious. I was intrigued to hear a comment on the platform at Rawtenstall station from a lady, obviously a non-enthusiast, who said ‘It’s wonderful, you can see why people become obsessive about them’. Indeed. 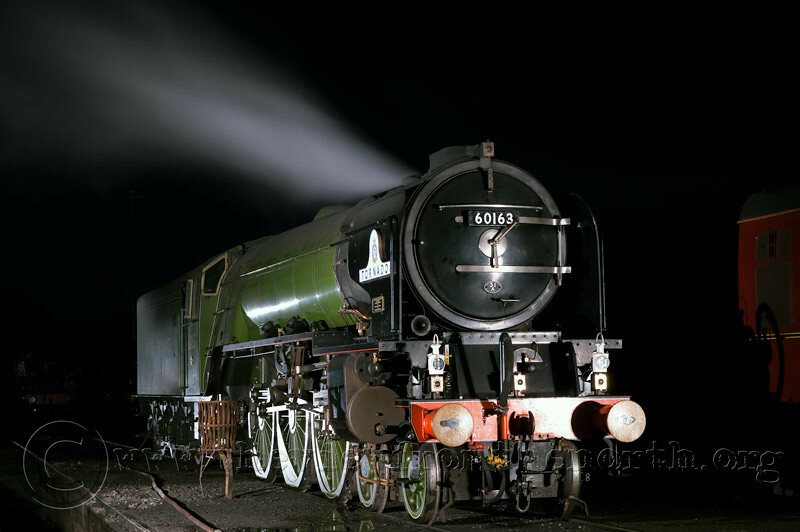 Sat quietly hissing and ticking away under the lights at Buckley Wells in Bury, Tornado looked magnificent, and despite being in service now for over a year, still looked like a new engine. You really can see why people become obsessive about them. I can’t take much credit for this photo, as all I had to do was turn up at the nightshoot, set the camera and tripod up and press the button. Credit goes to Nigel Valentine and the guys at the East Lancs Railway who set everything up, thanks for another great evening!